Can you keep this plane in the air for one more flight? What about two, three or even more? Find out how long you can help the plane fly between airports in this challenging action game. Can you turn your plane in full throttle, fire guns and complete each mission in world war? You've earned your wings and now it's time to fly to the sky with epic maneuvres and heroic stunts in the 303 squadron now! Direct the course of battle in this highly challenging and interesting strategy game on the browser, Battle of Britain 2! Fight back against the invading forces! The skies over these islands are filled with tons of enemies. Jump in the chopper and destroy them, one by one, in this thrilling top-down shooter game. You’ll also need to keep an eye out for power-ups while you pummel them to pieces. Patrolling the skies over this futuristic metropolis ain’t easy. Are you up for it? Hop inside this flying squad car and keep an eye out for bad guys in this shooting game. 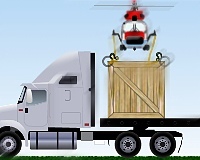 Control your helicopter as long as you can, avoiding all obstacles. Are you ready to take this experimental spaceship out for a spin? Dodge buildings and blast towards the glowing rings while you try to earn a high score. How long will you survive in this endless action game? Fly high in this amazing helicopter fighting game. Your mission is to destroy enemy vehicles by means of aerial attacks. Missiles activated? Master your mad flying skillz and show these levels who’s boss!